Yes To Carrots es una marca que no conocía asi que como he comentado en otras ocasiones compré un set con minitallas para ir probando un poco. Contiene cuatro productos, todos contienen estracto de zanahoria. La hidratante de día y el gel de ducha me han gustado mucho, en cambio el limpiador me parece demasiado denso y aceitoso y no exfolia nada. La manteca corporal me ha dado alergia, debe contener algo que no me va bien. Así que me ha gustado al 50%, no creo que me arriesgue a probar más cosas de esta marca. Yes To Carrots is a brand I didn't know so like I've said so many times I went for a set with travel sizes so I could just try them. 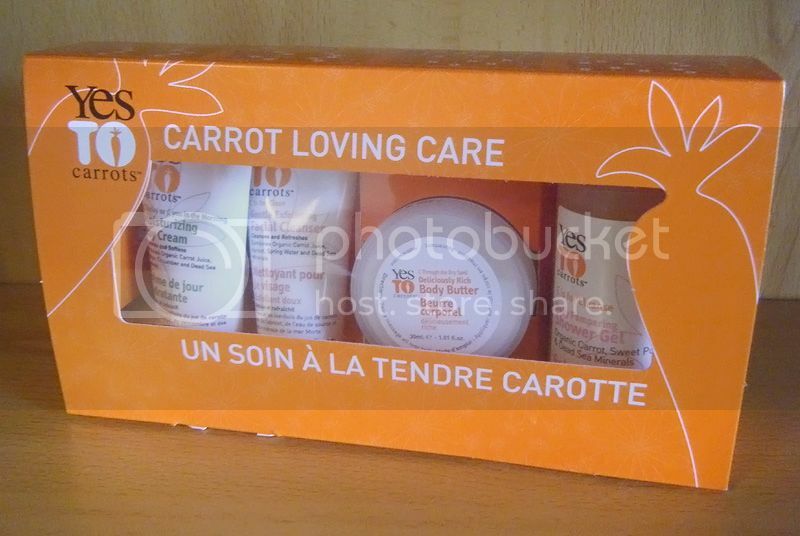 It comes with four products and all of them contain carrot extract. I quite liked the day moisturizer and the shower gel, however the facial cleanser seems too thick and oily and doesn't really exfoliate at all. The body butter has given me some sort of allergy, it must contain something that isn't ok for me. So I 50% liked it / hated it, I don't think I will take the risk of trying anything else by this brand to be honest.